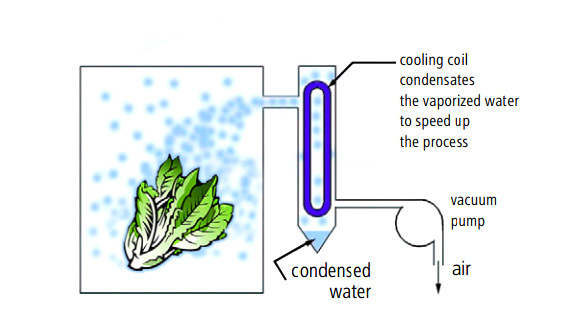 Vacuum cooling is the quickest and most cost-efficient cooling system for vegetables, fruits, flowers & more. The vacuum cooling technology, which can strongly improve your product quality and at the same time reduce your cooling costs, is now becoming an acceptable investment for almost all vegetable growers! The technology is based on the phenomenon that water starts boiling at lower temperatures as the pressure decreases. In the vacuum cooler the pressure is reduced to a level where water starts boiling at 2 ⁰C. The boiling process takes away heat from the product. 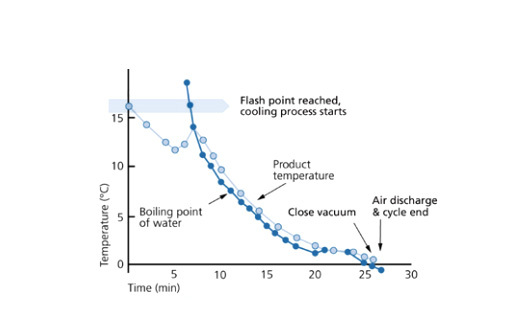 As an effect, products can be cooled down through and through to 1 or 2 ⁰C within 20 – 30 minutes. Even (micro-perforated) packed products can easily be cooled this way! The quick and uniform cooling (the surface and core of the vegetable reach exact the same temperature after vacuum cooling!) results in a substantially longer shelf life of your produce. 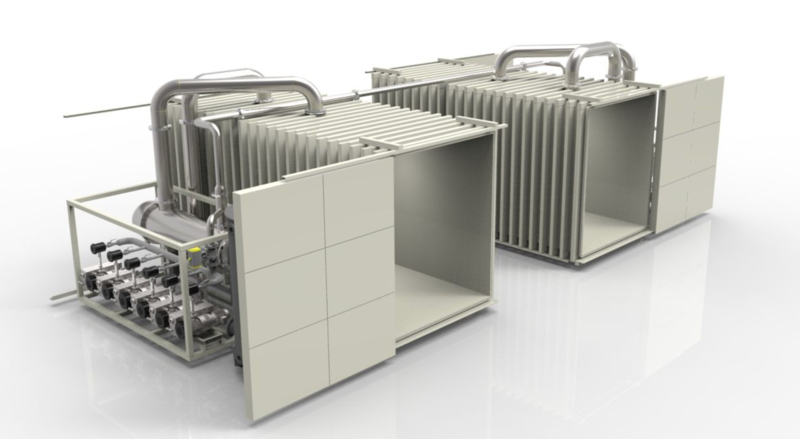 At the same time you can save on energy costs, as the vacuum cooling process is much more (cost) effective than traditional cooling technologies. WITHOUT THE RISK OF FREEZING. Vacuum pre-cooling extracts heat from the produce by evaporating a little of the products own moisture, thus reducing its temperature.The system works also perfectly for pre-packed (not air tight) produce. It is ideal for cooling your produce & flowers directly after harvesting, and is the only real option for vacuum cooling packed products at airports, both on the departing and arrival side. Loads with different temperatures are all cooled down to the desired temperature level, without the risk of freezing.